General Election – Who Did You Vote For? The day that everyone’s been waiting for with bated breath has arrived. Sides have been taken, battle lines drawn. There may even be blood and tears shed. That’s right – Scouting For Girls play Leeds tonight. It’s enough to make Danny Dyer want to slash his own face off. But ignoring that for one moment, it’s also the General Election. 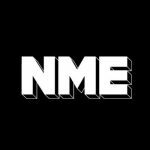 We’ve already taken a sideways glance on NME.COM today at how some of the most well known musicians, including Noel and Lily, will be voting. On a more serious note, NME magazine also sent writer Gavin Haynes to meet some of the main parties key players and explore their policies. You can read about his trip on the road with Nick Clegg and others here. Unsurprisingly, the election is a hot topic of debate in the NME office. Though not one person has yet joined Craig David in admitting to voting Tory. Read Johann Hari’s excellent expose on the Independent website of what life under the Conservatives could mean and you can see why. We’re not short of Labour doubters either, with this daft video lampoon of the incumbent governments’s creaking top brass currently doing the rounds. But who will you be voting for? And why? The BNP are active, hungry for votes and already at the centre of violence, as this BBC video clip shows. But do you even care enough to make sure your vote gets cast? Join the debate in the comments below.